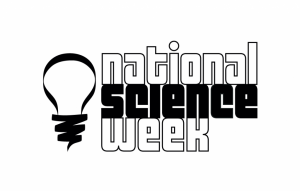 Hundreds of people from across the city flocked to Goodness Festival National Science Week activities in Geraldton last week in celebration of science, sustainability and innovation. The week brought together a range of community and professional development opportunities in a week’s packed festival program. Highlights included a rousing Inspiring Women in Science presentation by former WA chief scientist Lyn Beazley who encouraged women to step up and embrace scientific careers. The natural world and its many wonders came under the spotlight in events ranging from a captivating astrophotography exhibition to wildflower bus tours and bush walks, and Research and Innovation in a Changing Climate talk. Innovation starred on the festival program with a team of innovators working to make their dreams a reality at the KickStart accelerator program, and pitches at GeroSoup in which community members donated funds to their favourite venture. Health also took centre stage with a SmartHealth Symposium attracting a professional development crowd looking for the latest developments in health technology, and a happy crowd tucking into a nutritious lunch while learning about the science behind nutrition at a Navigating Nutrition workshop. Community event highlights included a Sense of Place lecture at the museum and an open day at Point Moore Lighthouse. Pollinators Chairperson Paul Dyer said Goodness Festival events provided an excellent example of how much science can bring to a community. “We may not realise it as we go about our everyday lives but science is behind everything – from the phones at our ears, to the computers that we work on, to the natural environment which surrounds us with such beauty here in the Mid West,” Mr Dyer said. “And understanding science is the way of the future – with a great portion of future careers predicted to be science-based. 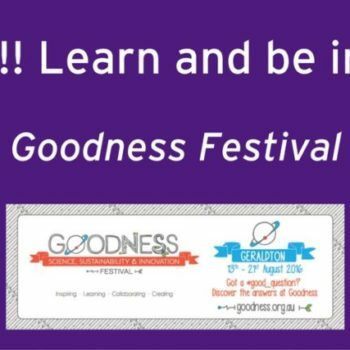 Goodness Science, Sustainability and Innovation Festival is an Inspiring Australia initiative, supported by the Australian Government as part of National Science Week, and by Regional Development Australia Mid West Gascoyne.